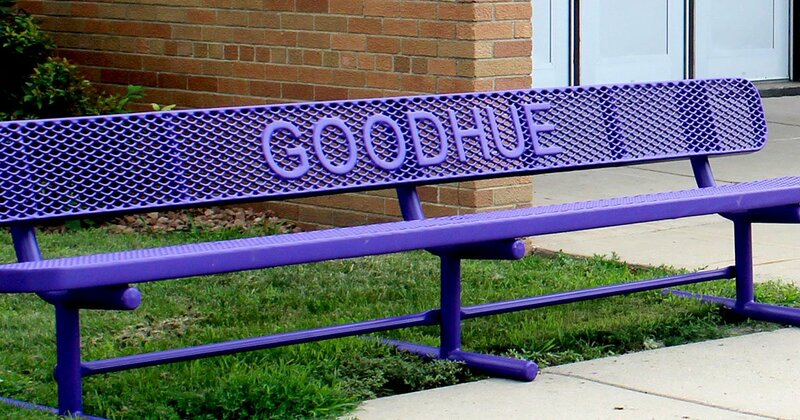 Commercial Custom Benches That Are Second to None… In ALL Climates! The Premier Advantage: Commercial Custom Benches built with Durability and Stability that look good and are manufactured to last a lifetime in ALL climates. 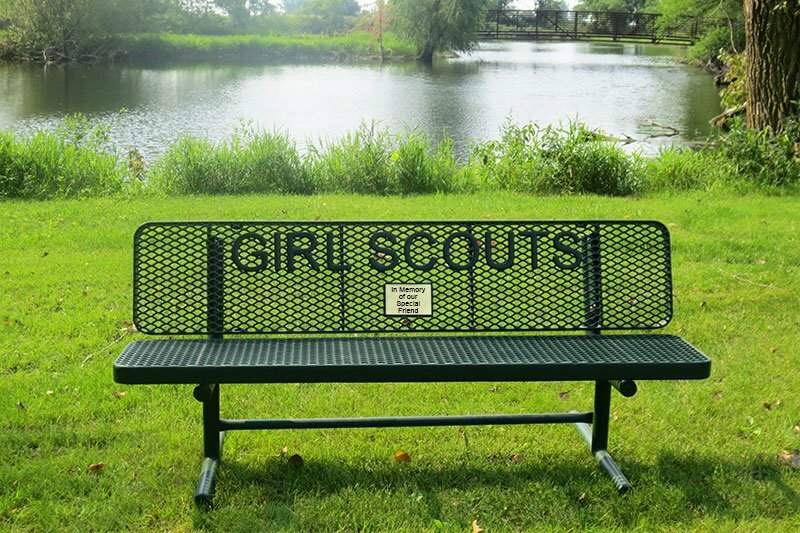 A wonderful way to honor and celebrate people, places, groups, and events is with commercial Custom Benches! Premier Polysteel can incorporate custom lettering into the bench you choose. 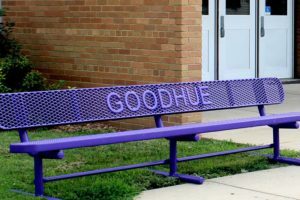 You will be able to display the name of your school, business, family, or organization in a beautiful and durable manner. 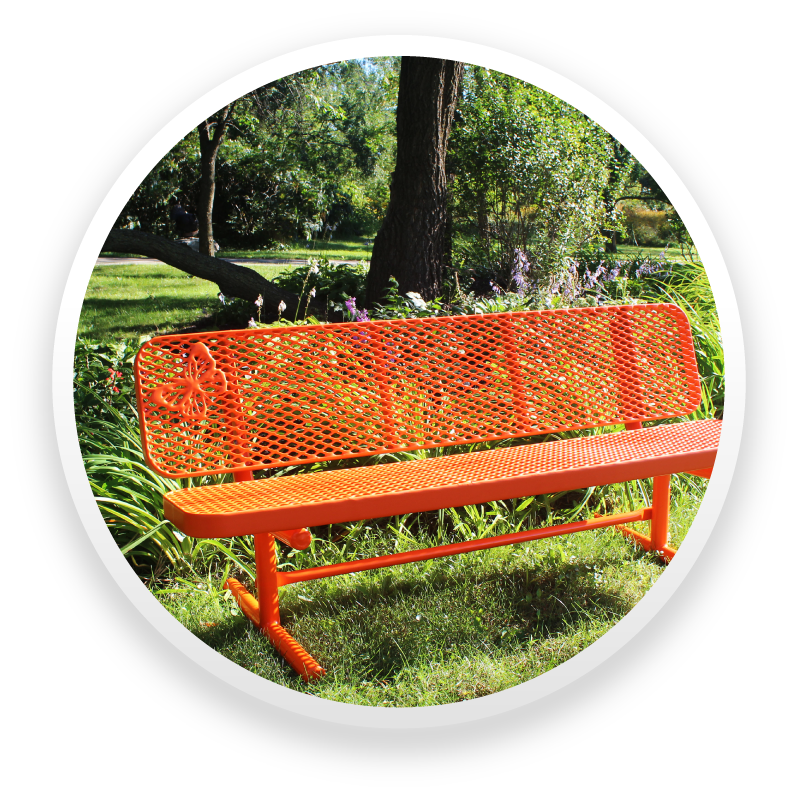 Our benches are completely coated with plastisol (poly-vinyl) and built to last a lifetime. In fact, they come with a 20 year warranty! The reliable performance of our poly-vinyl coated steel frame ensures safety and stability. 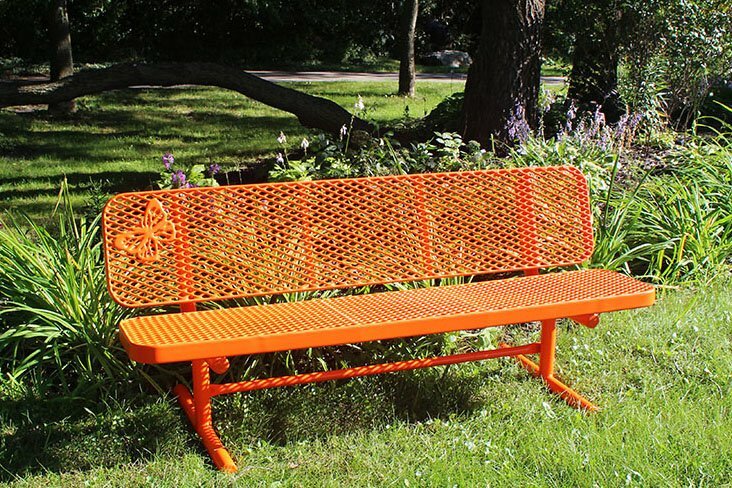 They are built so strong and durable that the seats will not sag in the center, but look great for many years to come! 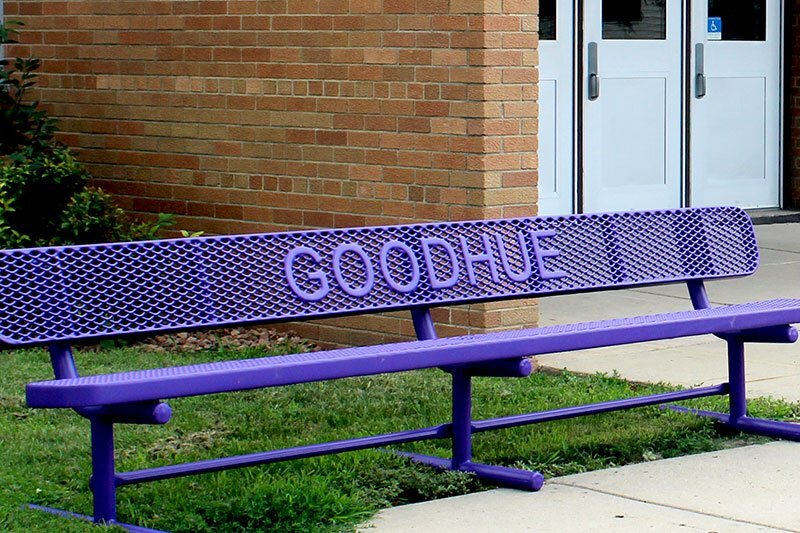 Lettering, and also numbers, are available with all lengths of the Champion, Champion Supreme, and Grand Contour benches with backrests. 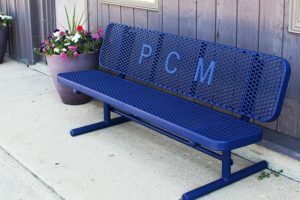 As with all Premier Polysteel products, the steel benches are completely coated with UV stable, mildew resistant poly-vinyl that is compliant with worldwide standards. Even the bench legs have this coating! The 1/8+ inch layer of poly-vinyl is bonded directly to the metal so rust will NEVER be a problem. High wind, rain, sand, salty air, and humid conditions are no match for the products you select from Premier Polysteel. Our process of coating the entire product continues to be a time-tested winner. 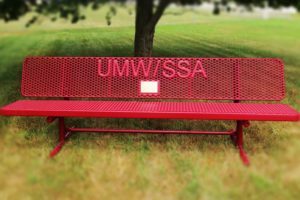 With our Industry Leading 20 Year Warranty, commercial Custom Benches offer a durable and attractive addition to any location. Furthermore, Premier Polysteel outdoor benches require very little maintenance (no painting!) and are very easy to clean! As a result of our high customer satisfaction, we have many, many returning customers. Just check out our Customer Testimonials page. 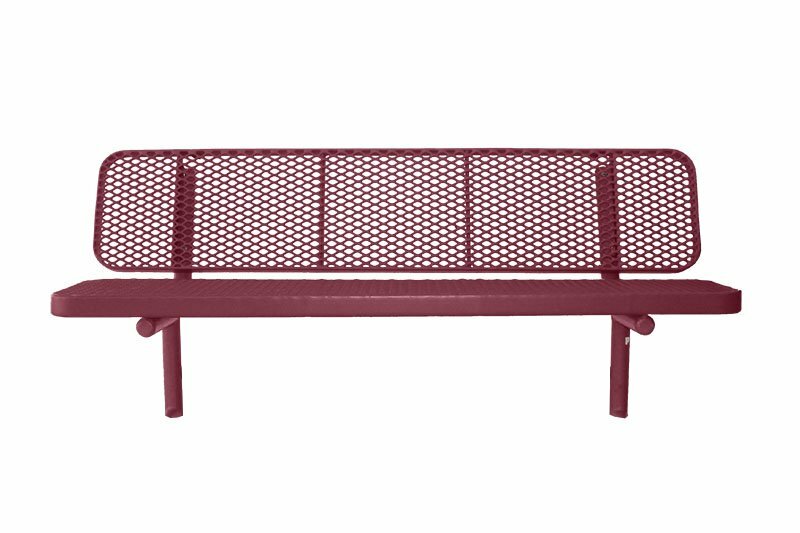 In addition to our commercial Custom Benches, please browse through all our other bench styles! *Color Disclaimer: Actual product colors may vary from colors shown on your monitor. Color samples are therefore available upon request. 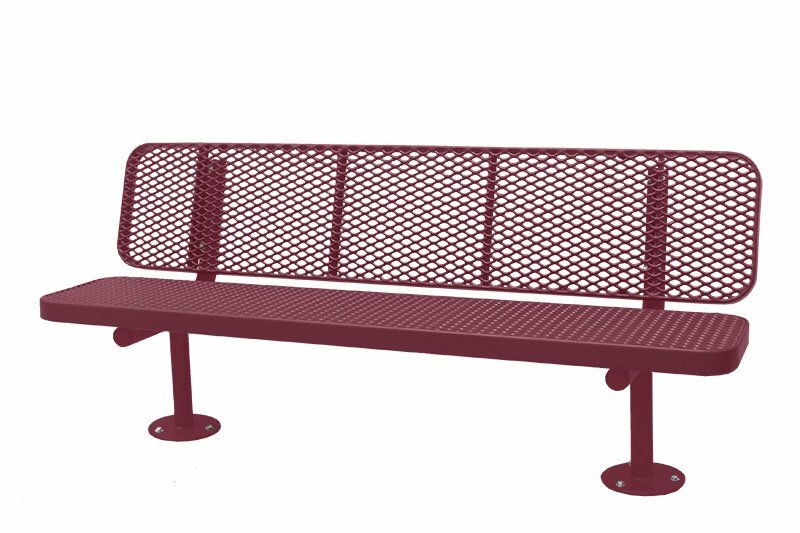 Champion 10 ft Bench – One row of letters/numbers with up to 32 characters including spaces. 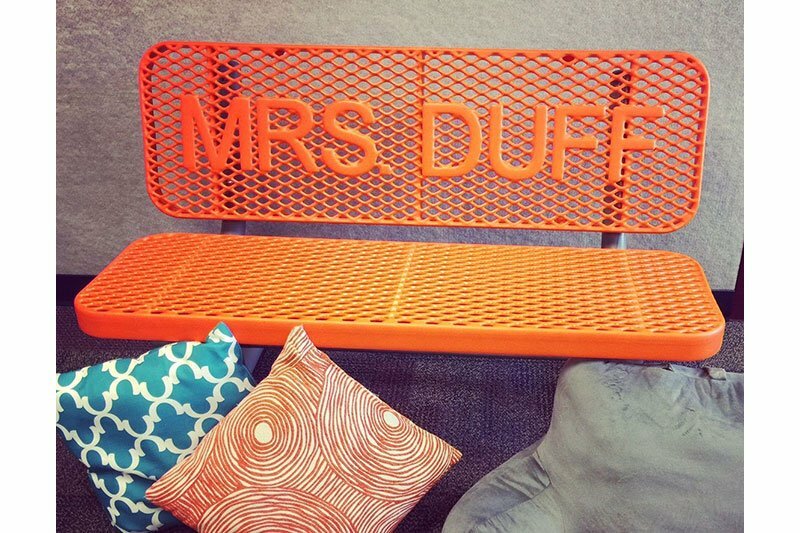 Champion Supreme 6 ft Bench – One or two rows of letters/numbers with up to 19 characters each row including spaces. 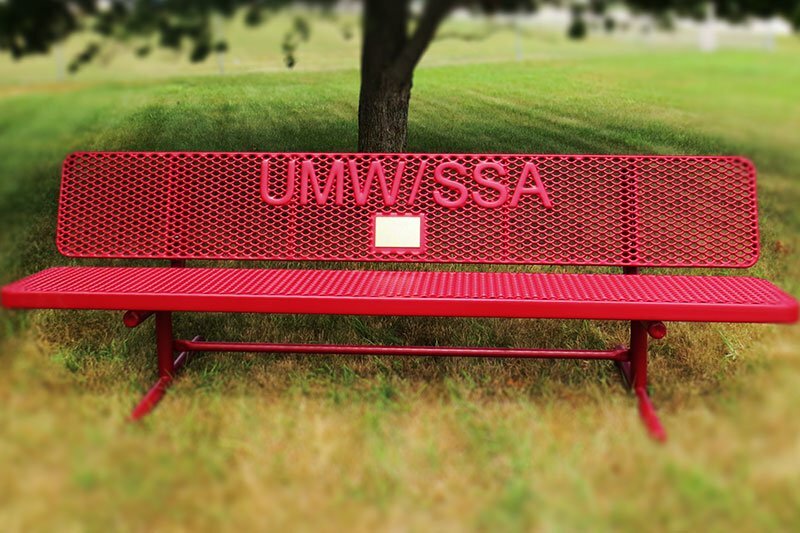 Champion Supreme 8 ft Bench – One row of letters/numbers up to 26 characters including spaces. A Memorial Plaque is centered below. *Color Disclaimer: Actual product colors may vary from colors shown on your monitor, therefore color samples are available upon request. What’s the difference between the Champion and Champion Supreme Benches? 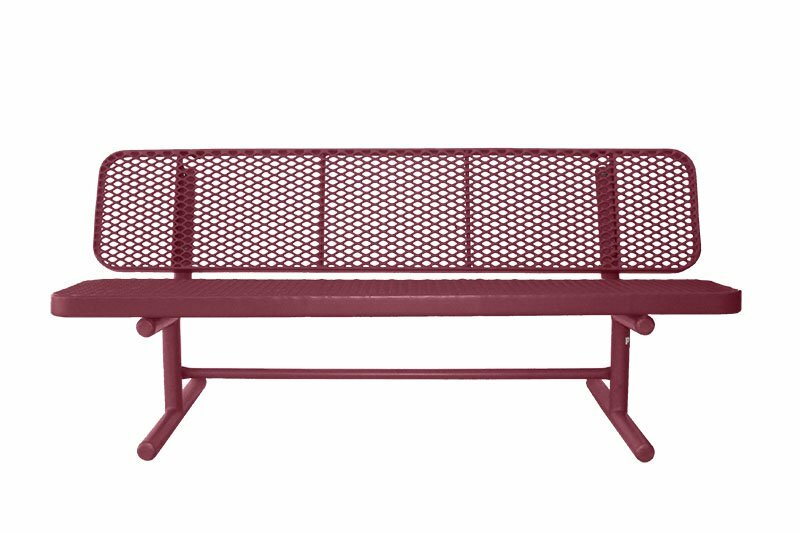 The difference between the Champion Bench and the Champion Supreme Bench is the bench seat/back size. The Champion Bench is 10” wide and the Champion Supreme Bench is 15” wide. Do the products come assembled? To keep shipping costs low, most products are not assembled. 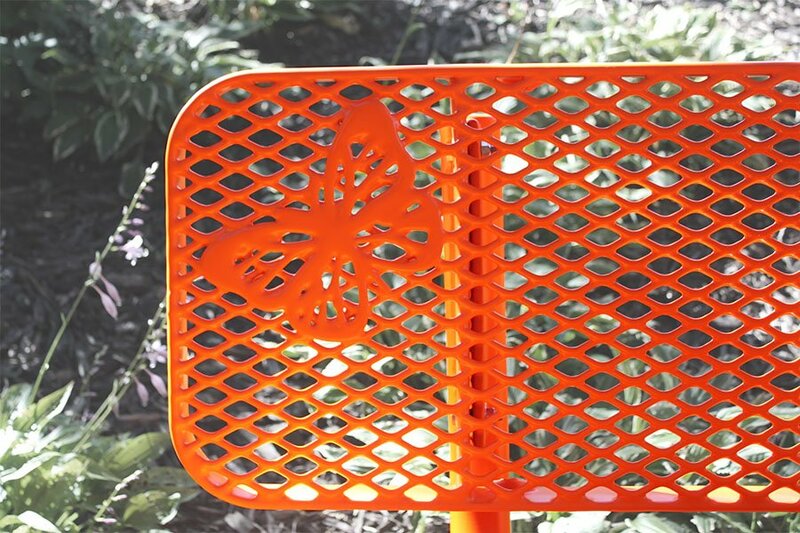 Two exceptions include the one-piece 32 gallon round receptacle and the loop style bike racks. If you would like to have your products assembled here, we would be happy to do that. There is an extra charge for this. Please contact us if you need assembly prior to shipping. Will the driver take my products off the truck? If you need a lift-gate truck delivery (driver assisted unloading), please contact us when placing the order. This will be an additional shipping charge. Unless lift gate delivery is requested, it is the customer’s responsibility to get the product off of the truck. What are the differences in mounting options? Free Standing is portable, Surface Mount is bolted to the ground, and Direct Bury is in the ground. Do you include the hardware needed to mount the product to concrete? The mounting hardware needs to be specific to the surface thickness and specifications, therefore only the product assembly hardware is included. 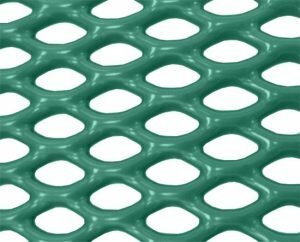 How deep and wide should the holes in the ground be for Direct Bury mounting? General recommendations are given on the accompanied assembly sheet. Please consult a local contractor for specific advice pertaining to the location. One set per product is recommended. For picnic tables, place one clamp on each opposite corner. For benches, one clamp on each leg. Do you sell something to cover any damage done to the product? Yes, if needed, please contact us. What is the memorial plate made out of? .020 aluminum substrate with brass coating to give the appearance of brass without the problems of tarnishing and discoloration. Loss or Damage in Transit: Premier Polysteel is released of all responsibility for loss or damage in transit by the bill of lading, which is our receipt from the carrier that the shipment was complete and in good condition. This bill of lading is forwarded to you at the time of shipment and should be checked carefully with the shipment when received by the consignee. Any shortage or damage must be noted and signed for by the delivering carrier. Do you have representatives we can talk to? Yes! Our customer service is second to none! On weekdays customers can reach us from 8:00 a.m. until 4:30 p.m.
All Poly-Vinyl Coated Products have a 20 Year Warranty! 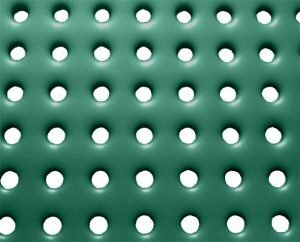 Every Premier bench is coated with a thick layer of poly-vinyl for protection against all environmental elements. It’s a tremendous value with the added benefit of our Best-In-Industry 20-year limited warranty!